The Healthy Living Center also offers services to members of the community who are interested in our health and wellness programs. With health care reform comes changes, and the Healthy Living Center is here to assist you by providing the programs you need to be proactive about your health care. The Healthy Living Center hosts a fruitful community garden that provides seasonal produce to the Norfolk community. Our spring harvest brought the community a heaping amount of tomatoes, cucumbers, peppers, zucchini, squash, as well as fresh herbs and spices. For the fall, the center has planted a mixture of green leafy vegetables, like kale, collard greens, and spinach. Members of the community are welcome to come and learn the benefits of personal gardening, where to start, and how to cook with fresh produce and herbs. Community garden from summer 2016 through fall 2016. Written by Drs. James Newby, CDE and Olivia Newby, DNP, FNP-BC, CDE, "I Have Diabetes, Now What?" is a detailed handbook for Type 2 diabetics. In this book, diabetics are provided a detailed guide on how to cope with one of the most complicated diseases affecting many of our families. Due to family genetics and a poor understanding of healthy food options, many Americans find themselves asking, "what's next?". 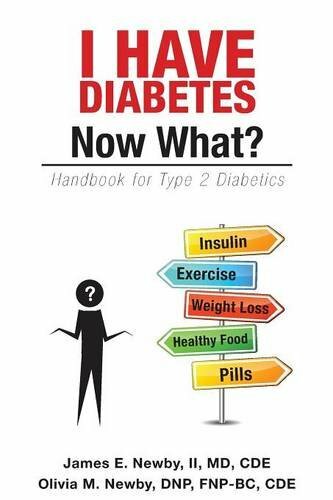 This handbook is a great way to gain understanding of how to navigate your way through your journey with diabetes. Books are available for purchase at the Healthy Living Center, Barnes & Noble, and Amazon online bookstore. Olivia Newby, DNP, FNP-BC, CDE speaks about the Healthy Living Center's Diabetes Education Program. "The HbA1c in the group decreased by 1.26% after 3 to 4 months compared with a .055% decrease among patients who received usual care counseling by doctors (P<0.001), said Olivia Newby, DNP, director of the Healthy Living Center in Norfolk, Va."
The full article can be accessed at http://www.medpagetoday.com/MeetingCoverage/AANP/46453. Dr. Newby was also published in the Journal for Nurse Practitioners Volume 12, Issue 5, May 2016, Pages 317-323. Her article focused on a specific model of care for shared medical appointments for diabetic Black Americans. "Diabetes and its complications disproportionately affect the black American community, requiring new multifactorial strategies for achieving glycemic control. In this study we evaluate the effectiveness of culturally tailored shared medical appointments or group visits in improving diabetic outcomes in black Americans. Our retrospective comparison group design assessed the significant within- and between-group differences in clinical measures for a sample of 250 blacks with diabetes who either participated in a group visit or received traditional office care. The results suggest that culturally tailored shared medical appointments have the potential to improve glycemic control."